Subscription services are all the rage right now…and I love it. I really don’t enjoy any kind of shopping, so having high-quality products delivered to my doorstep when I need them without my needing to lift a finger brings me much joy + delight. I kept seeing ads all over the place for Dollar Shave Club and their supposedly cheaper-than-average razor blade subscription program, so I asked my trusty Facebook friends for their feedback. Sure enough, a number of them had tried the service + liked it. But, a couple people who commented on the thread recommended that I try another razor subscription service that I had never heard of, instead. I ended up liking what I saw on the Harry’s website so much that I decided to forego DSC and order the German-made blades instead. My first shipment, complete with blades, handle, and shave gel, arrived in beautiful packaging and appeared to be every bit as well-made as its creators claimed. I love the sleek ivory-colored handle (available in three other classy color options) and the bottle of gel sports a clean, minimalist aesthetic. Labels are ultra-important to me; I care a lot about how the things that sit on the shelf in my shower look. This brand definitely gets five stars in that department! The blades themselves contour better than any I’ve ever used. And they are certainly sharp! I was in fact enough unprepared for how greatly so, that I managed to nick my ankles about all three of the first times I used them [face-palm]. So, do proceed with caution (but fear not, for I’ve always been a rather clumsy shaver in general). I’m about a month in to the three-month subscription I set up, and overall I’m very pleased with the results. My one complaint, however, is that the blades are…noisy. If I were a man, and using them on facial hair as intended, I’m guessing this might not be an issue. But in using long strokes as I do on my legs, my razor squawks a long, high-pitched squeak with each stroke. A minor flaw, but annoying all the same…right?! I may end up taking the shave gel off my plan and just getting the blades, but at the time being I do think I’ll be a happy Harry’s customer for a good long while. Anyone else tried a razor subscription service and have any feedback of your own to share? 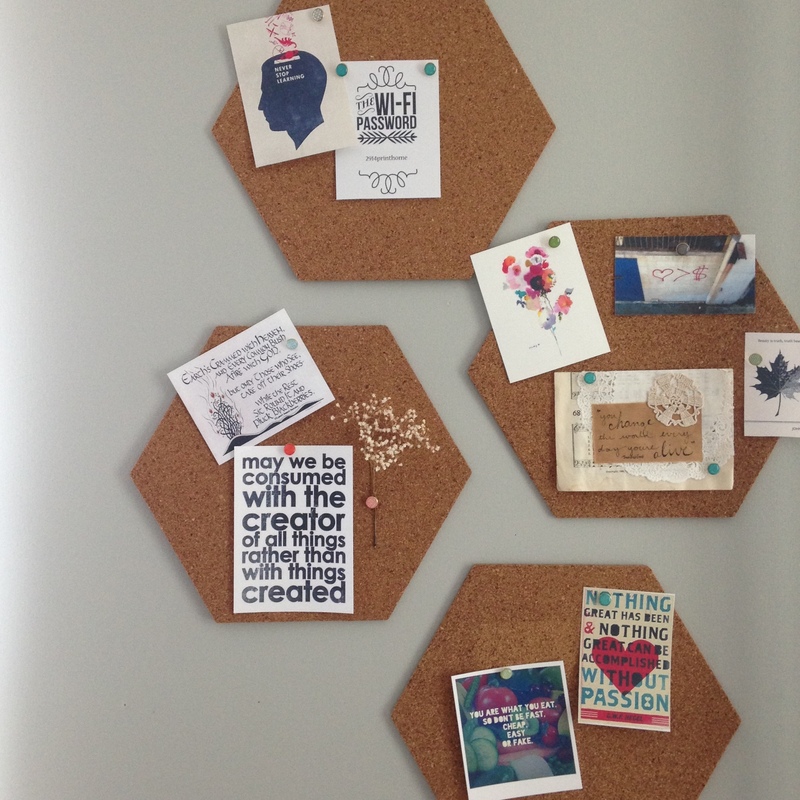 Abiart Creative | a Giveaway! This giveway is now closed. Stay tuned for more opportunities to win good stuff in the future! I mentioned last week that plans were in the works for The Realization of Good’s very first giveaway, and I hope you’ve been waiting with eager expectation! 😉 I’m a huge fan of giveaways, since I used to be one of those people who “never won anything”…but kept on entering away, and it eventually paid off. I now know that persistence is key, and that filling out those entries is actually worth it! The few giveaways I’ve won have felt like having an extra birthday…getting a package containing something awesome that I didn’t have to pay for in my mailbox is pretty great. (Maybe my love language is gifts.) Anyway, in this case, that’s working to your advantage, because now that I have a platform, I am looking forward to running my own giveaways regularly. It’s my turn to give back! So I’ve been mulling over what to start with…I wanted it to be something extra special for this first run. I also wanted it to be something that would appeal to at least most of my readers, and I know each of you have varying interests. The cool thing about this prize pack is that it is a gift that “keeps on giving” — the winner will be able to use it to bless others! Without further ado…from now until Sunday you have a chance to win twenty-five beautiful greeting cards designed by my friend Abi over at Abiart Creative. Letter writing is one of those golden things that people just don’t do much anymore — we stay in touch through social media and write an email if we need to. But when was the last time you mailed someone a card? Everyone loves getting fun mail, and it really doesn’t take more than a few minutes to pick out a pretty card and jot a few lines. Let’s bring back snail mail! This giveaway is designed to make it easy and fun for you to brighten someone’s day with a beautiful card filled with love from a sister, cousin, or friend. Check out Abi’s website and Facebook page to see more of her lovely work. You can find her cards in a store near you or request a catalog by sending an email to abiartcreative@gmail.com. To get your name in the drawing for the 25 cards & envelopes + marker + stamps, you must click here to visit the Rafflecopter giveaway page and follow the instructions on the screen. You get one entry each for: liking The Realization of Good on Facebook, liking Abiart Creative on Facebook, following me on Instagram (a great way to stay up-to-date with what’s happening around here), tweeting about the giveaway, and leaving a comment here on this post telling me about one of two things: either a giveaway that you won (or reeeally wish you’d won), or an item you’d definitely enter a giveaway for right now, because it’s the epitome of awesome. (I’d love to hear your suggestions for future drawings!) 🙂 You can do just one or all five of these things to get entered, and if you want, you can come back and do the tweeting once every day for extra entries. The giveaway will run for one week and close at midnight on Sunday. I’ll announce the winner here on the blog on Monday, so stay tuned!